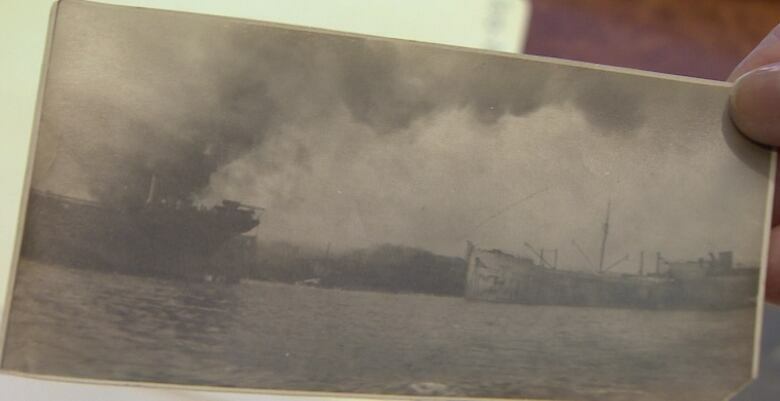 Thursday will mark 101 years since two wartime ships collided in Halifax harbour, sparking a fiery blast that obliterated a large section of the waterfront city and killed almost 2,000 people. 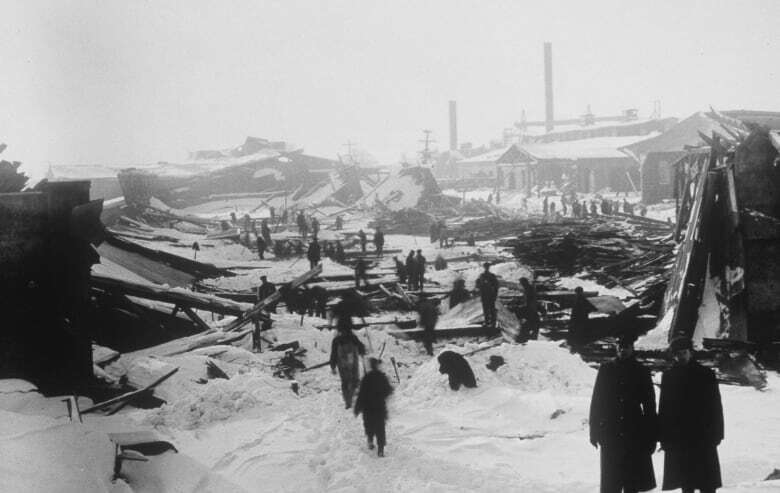 It was 101 years ago Thursday that two wartime ships collided in Halifax harbour, sparking a fiery blast that obliterated a large section of the waterfront city and killed almost 2,000 people. A service at Fort Needham Memorial Park in the city's north end will include a moment of silence at 9:04 a.m. — the exact moment the French munitions ship, Mont Blanc, exploded on Dec. 6, 1917, after colliding in the harbour about 20 minutes earlier with the relief ship Imo. 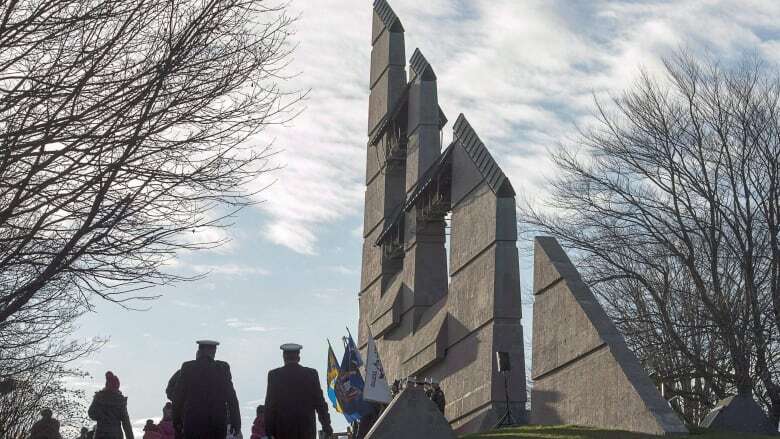 The park's memorial bells will ring out and prayers will be said, but experts who have studied the Halifax Explosion say the voices of its survivors are no longer able to tell the stories of the disaster that maimed 9,000, disfigured a city and reverberated throughout the region. "Survivors and their memories were such an important part of the way the explosion was rediscovered in the 1980s when people started talking about it, having said very little for decades," said Dan Conlin, curator of Pier 21's Canadian Museum of Immigration and a leading expert on the explosion. "Now that we have lost them, the reflection on the experience will differ." It's not clear how many, if any, of those who survived the powerful blast are left. Janet Kitz, who has written extensively on the explosion and met many survivors through her research, says she hasn't heard from any of them in the last several years and doubts any are still alive. The author of several books, including Shattered City and Survivors: Children of the Halifax Explosion, said survivors who once shared their stories of what happened that fateful day have been fading from public view over the years due to their advancing age. Gladys Hazel Forrest, one of the explosion's last survivors, died last March at the age of 106. Forrest was six years old when the ships collided, something she later said tore off the side of the house and sent her tumbling from the top floor down into her uncle's arms as the wall and the stairs had been blown off. Her baby brother was found across the street. But Kitz says many of their memories have been recorded in books and in the talks they used to give to students. "This was an important part of the city — it changed the city. The whole of the north end was changed as a result of it." Despite the quieting of those voices, there are new efforts to capture the stories of those lost in the blast, which also left 25,000 people homeless. Claire Halstead, a postdoctoral fellow at Saint Mary's University in Halifax, is building a database on explosion victims that provides everything from their address, age and occupation to their religion and cause of death. She says the database differs from the existing Halifax Explosion Book of Remembrance in giving a broader sense of who died and where they came from. "I wanted the database to be able to tell us things like how many children died, where people lived, how they died and how long after the explosion they died," she said in an email about the project, dubbed HExD. "(It) seeks to tell the stories of individuals who lost their lives alongside some meaningful numbers and statistics." Halstead said the database allows people to look up a street and see how many people died there and in which houses. As a result, she said she's determined that 18 per cent of the victims lived on Barrington Street. Halstead said she's also found little-known stories of people like Paul Morse Deacon, who died of whooping cough and convulsions on Jan. 23, 1918, at just seven weeks of age. "He was likely born — possibly prematurely — as a result of the explosion," she said.